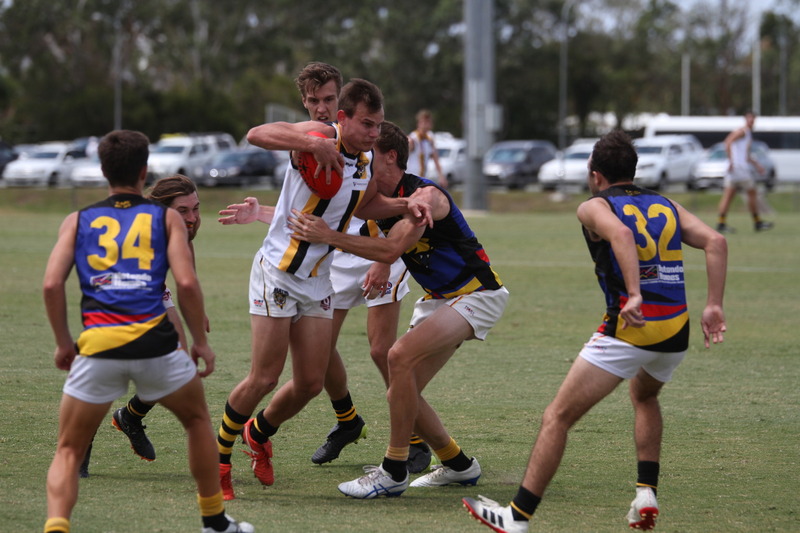 The Tigers had their first hitout for 2019 against opposition yesterday at the Alpha Sport Pre-Season Cup played at Fisherman’s Road, Maroochydore. The Tigers played three teams in a round robin format of two 15 minute halves games. The Tigers played Caloundra, Maroochydore and Aspley trialing over 40 players for the day giving the coaching group an opportunity to have a look at the new look Tigers. It was very pleasing to see the return of a number of young players who had stepped away for a season or two as well as the inclusion of so many new young men. The round robin format was an ideal opportunity to spread the talent across the day, so whilst not necessarily being able to conclude the ultimate competitiveness of the various teams, it was a positive experience to see individual talent on show. The Tigers also took the opportunity to give their young coaches a chance to take the reins in the trial format, with local talent Xavier Craven and Bill Stephens making their way in the mentoring game under the watchful eyes of Chris David, Ritchie Elliott and Josh Duffy. The Tigers were also able to get a look at the opposition with Maroochydore once again looking very strong even though they didn’t let their big guns off the leash yesterday, while Caloundra look quick and sharp once again. The day finished off with a local derby with Aspley with the Tigers able to have a win, but once again not much was given away with all the clubs using the day to trial players and blow out some cobwebs. The next phase of the pre-season will entail another trial game next Saturday which will be scheduled this week based on yesterday’s results and available rivals and venues.